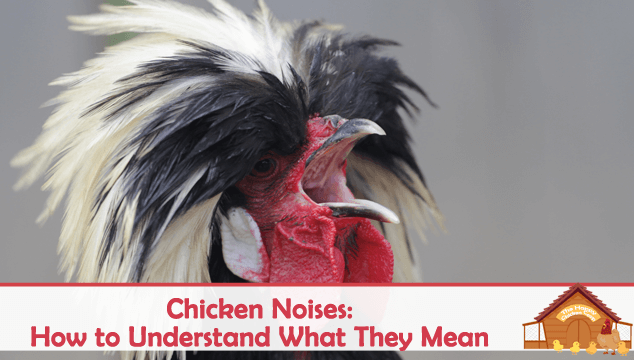 In this article we are going to talk about the most common chicken sounds you will hear from your flock and what each of them means. Of all the vocalizations of the chicken world, I think everyone knows this one! The happy cackling of hens following the ‘laying of the egg’ ceremony is quite unmistakable. The hen that laid the egg leads off with her sisters joining in for the chorus. This can go on for extended periods, especially if several of the ladies happen to be laying around the same time. A slight variation on the egg song can be heard when the favorite nest box is taken. The hen that is waiting for ‘her’ nest box will start to do an urgent egg song rendition. 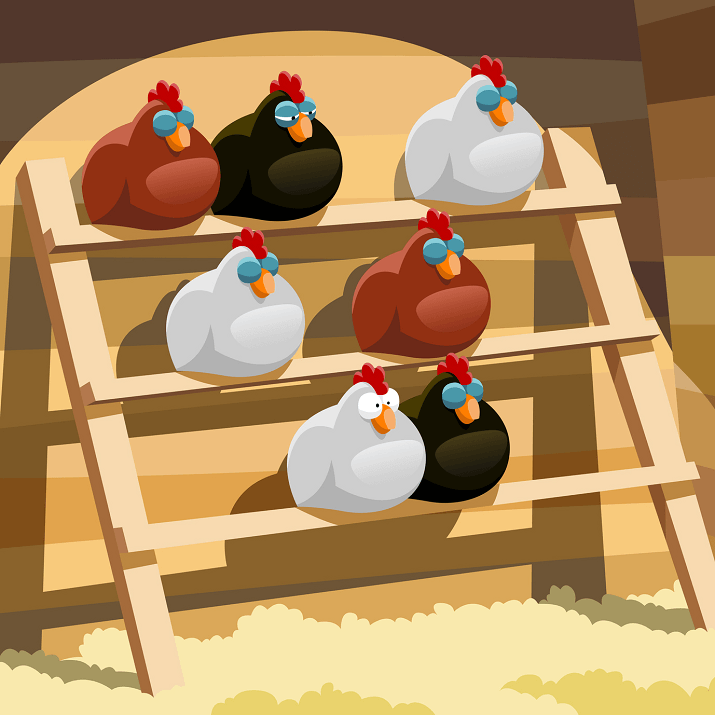 The song takes on an edge – as if she is trying to get the other hen to move to another box. This rarely works; the only hen I ever saw take notice of this was a young pullet and she fled the nest giving up to the complainant! I always greet my ladies with a ‘good morning’ when I open up the coop. Several of them will answer me back with the chicken equivalent of a greeting. If I’m late in opening the coop, they will scold me in no uncertain terms, accusing me of lying in bed wasting the day! When putting them in for the night, I sometimes listen to the coop chatter as they settle down for the night; murmuring, trills and contented sounds abound. A broody hen is unmistakable. She has laid her eggs and is now sitting waiting for them to hatch. If you disturb her on the nest, or a flock-mate gets too close, she will growl. Yes, chickens can growl! This is the warning to stay away from her, her hormones are raging and she wants to be a Mama. If you don’t heed the warning you are liable to get a hefty peck or several until you leave. Some broodies will scream at you; rather like a tantrum or hissy fit. This combined with the fluffed up and evil look, is designed to keep you away! Broodies do get off the nest about once a day usually. During this time she will be fluffed up, bad tempered and clucking urgently and constantly. I think this is her way of saying everyone out of my way – I have to get back to the nest. If you stop and watch her, all the other hens will move out of her way and give her plenty of space. Whatever she is actually saying, it seems to work very well as a warning to the other hens. When you see a flock of chickens moving across the yard, you will usually hear a low murmuring sound. This murmuring has been likened to contentment; it is also one of the ways that the flock keeps safe too. 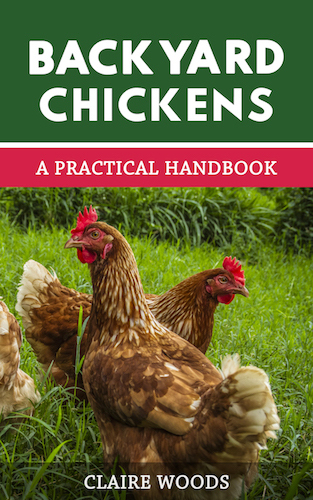 Hens will generally range within earshot of each other, they can hear each other and if anyone sounds the alarm they know instantly where the alarm came from. Some hens (and roosters too) enjoy lap time with their keepers; here’s one that is especially content. Chickens have a very sophisticated range of alarms for danger. There are distinct calls for aerial predators and ground predators. If your flock starts to make urgent cackling and appear to be agitated – go investigate! Although you may not be able to detect the danger you can be sure something upset them. The appearance of a human will usually deter most predators from having chicken for lunch. The talking between mother hen and her chicks starts before they are even born! She will cluck and purr softly while sitting on the eggs or moving them around under her. This early talking enables the chick to pick out its mothers voice from a group of chickens together. Towards the final hours of the hatch, you can hear them talking back to their Mama. In this way she gives them encouragement to break out of the shell and reassurance that they are safe. 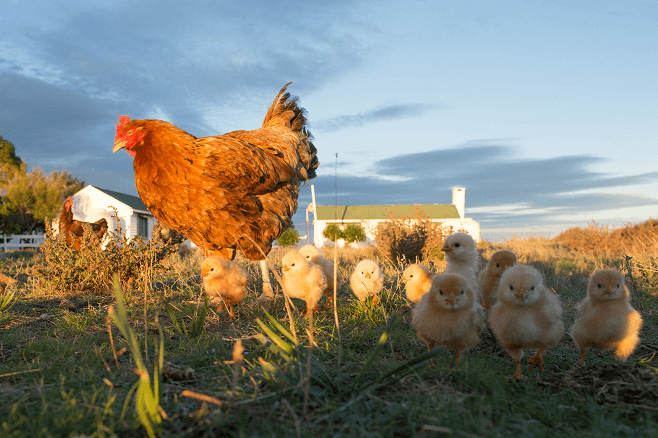 It has also been proven that Mother hens can modify their teaching of the chicks based on their understanding and aptitude. If the chick is a slow learner, Mama will slow down the speed of the lessons until the chick understands. If you have ever had chicks that got separated from Mama you instantly recognize the frantic peeping of “I’m lost, where’s Mama?”. The Mother will rush to the chicks’ aid and bring it back to the safety of the nest. Researchers believe that this shows empathy; something that chickens have in common with humans and primates. If Mama senses danger, she will emit a soft ‘grrrrrrr’ sound. The chicks will either freeze in position or run to Mama for protection. She can also use a soft, low pitched clucking to warn her chicks to be still. If you have raised chicks without a Mama, you will need to listen carefully to the sounds they make – they can tell you a lot. Soft peeps and trills are contented sounds, they are happy with life. If you hear high pitched insistent peeps something is wrong, perhaps the brooder is too hot/cold, food has run out or no water is available. Pay attention to what they are telling you and you will have happy and healthy chicks. A mother hen calling her chicks to food uses a series of ‘tuk, tuk, tukking’ noises similar to a rooster. This alerts the chick to a tasty morsel, to encourage eating it she will pick it up and drop it a few times until the chick gets the idea. Adult hens too use the ‘tuk, tuk’ noises to denote pleasure associated with food. It is generally reserved for special items such as treats. There really is no such thing! Although some birds may not be as vocal as others, they all ‘talk’. The shyer birds will not talk as much as those higher up the pecking order, but if you make the effort to spend some time with them, they usually do talk. If one of your chatty birds is not talking, somethings not right. Check her over to make sure she’s ok. Keep an eye on her just in case – perhaps she’s just having an ‘off’ day. 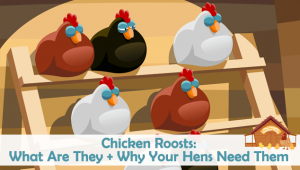 Chickens can get depressed but it is usually over an event in her life. Maybe she had to be isolated for a while – as a social creature this is traumatic for her. This is the main reason that I don’t separate a hen from the flock unless it is absolutely necessary. Another event that can lead to depression or withdrawal is a death of a favorite flock-mate. Some hens do form strong bonds with others and a death can lead to isolation. Although they may not vocalize ‘depression’ as such, you will notice from their behaviors and subdued vocal responses that something is wrong. There are still those who say chickens don’t have language and that people are guilty of anthropomorphism. 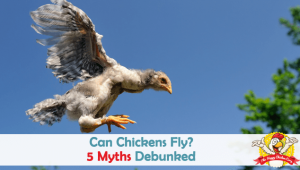 Everyone is allowed their point of view, but increasingly science is showing just how wrong our assumptions have been about animals and birds and their ability to communicate. Allow yourself to sit and spend time with your birds. Watch their interactions, listen to their conversations; you will be amazed at what you learn! If you haven’t already, you will hear that different birds have different vocalizations and you can pick out individual hens from the crowd. This was a very interesting article and want to share with you something’s my girls do. I have one that sounds like she is laughing. It sounds like she is saying “ ha ha ha ha ha “. I have another that cops like a baby. If I do it to her she does it back. I love to sit and listen to them. Loved this article! I can’t find many that talk about chicken vocalizations. I have one chicken that I feel so bad for because when I go to the coop to make sure they are accounted for there is always this one hen that sits all by her self at the opposite end of the roost. All the other hens are at the other end snuggled in with omlet my rooster. I’m sure she is at the bottom of the pecking order but she seems to be a loner ? Loved the article on chicken noises. I have three chooks and when I clean their coop there is always one watching me and chatting to me. She sounds happy that I am cleaning up the coop. She is probably also telling me that I missed a spot. Hi, We have three laying hens and one white Silkie who sadly is the bottom of the pecking order although generally the bossy black one and one of the red hens peck at her she seems ok. They was all purchased at a chook farm together and my granddaughter fell in love with Stuffing as she named the Silkie ( re: looking like the stuffing that comes out of the soft toys the dog ripped up). We were not aware of different breeds not the best together. However, little Stuffing has laid a few eggs and was broody. We left her in a separate pen, large enough within the main run until she finally got the message no eggs, no chicks. She is laying again. My question is she talks all the time, a loud but not threatened rich loud ‘Brrrrrrrt’ sound and wonder what she is saying? She does not seem distressed but her talking most of the time must indicate something. They all love human company. They definitely do have different words, or series of words, and they are so different. They are all different. I have one girl, who is very vocal. I just love when the girls sing to me… soft and cute cooing. I definitely agree that chickens have lots of different sounds. One of our hens doesn’t “cackle” like the other hens at all. In fact, she doesn’t even sound like a chicken at all, she sounds like a goose! I love our chickies and would never eat them. It is so relaxing to watch them! I have not had a rooster for several year now, as I did not replace him when he died. Recently one of my hens started crowing in the mornings like a rooster. Is this unusual?